Apple has released an update that fixes this vulnerability. Please update your Mac ASAP. Here is the information regarding the update. A security hole was recently discovered in the latest version of Mac OS X High Sierra which allows for anyone to access your computer without a password. We have provided a link to a USA Today article below, but there are many articles on the web reporting this issue. While Apple is working on a fix via update, you should take immediate action to fix the issue by following the instructions here. Basically, all you need to do is set a Root User password so please navigate to those instructions in the aforementioned link. If you need further assistance, please contact its@manhattan.edu. 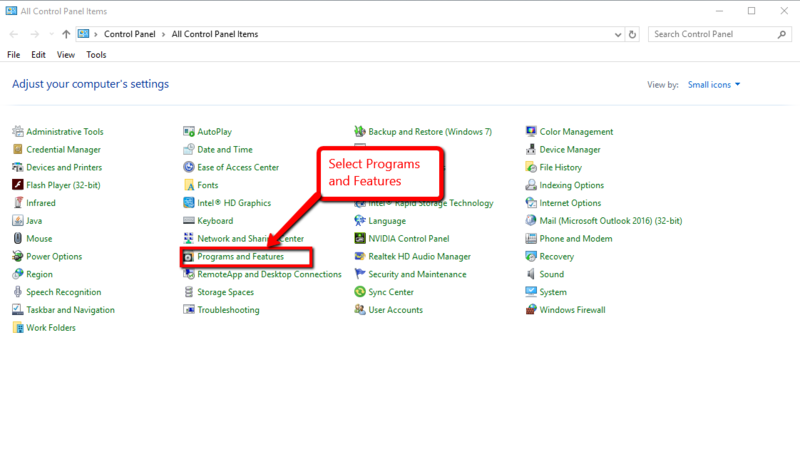 Once you click on "Program and Features", you will be shown a list of programs that are installed on your computer. Navigate to the Google Drive app that you previously installed on your PC and select it. You will then see appear the option to uninstall that program. Proceed with the uninstall to completely remove the program from your PC. 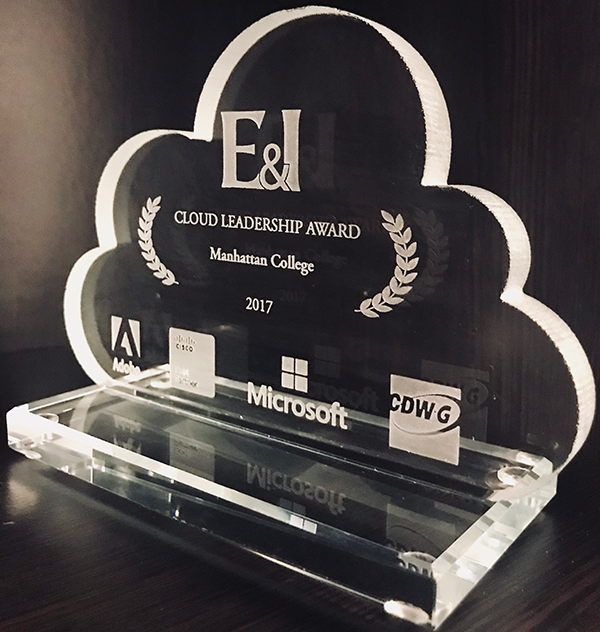 The Manhattan College ITS (Information Technology Services) Office has been recognized for its leadership in deploying Hybrid IaaS/PaaS (Infrastructure/Platform as a Service) Cloud solutions by E&I Cooperative Services (E&I) in their inaugural Cloud Leadership Awards ceremony. Winners were awarded during the EDUCAUSE 2017 Annual Conference reception held on November 2, 2017 in Philadelphia, P.A. The Cloud Leadership Awards honor the achievements of higher education institutions that have benefited students, teachers, administrators, and staff by using cloud solutions. UPDATE: As of about 10:45am yesterday, the generator test was completed. If you have any questions, please contact ITS at its@manhattan.edu or x-7973. Physical Plant will be conducting a generator test in Horan Hall Wednesday, November 29th at approximately 10am. Licensing issue has been fixed as of 2:45 PM. Aspentech products should be fully functional. ITS is aware of a licensing issue currently preventing AspenTech HYSYS from functioning. The license expired this past Friday at midnight. We have been working with their support team since then to resolve the problem. They appear to have been closed for most of the holiday weekend. We will update this post as soon as we have any more information. ITS is making strides to improve the wireless networks in the dorms across campus. We have made it easier to put in wifi complaints with a new Dorm Wireless Feedback Form! Please take a moment to fill out the semesterly ITS Customer Satisfaction Survey. Please try to think only of your experience with ITS for the Fall 2017 semester. Here is a link to the survey. 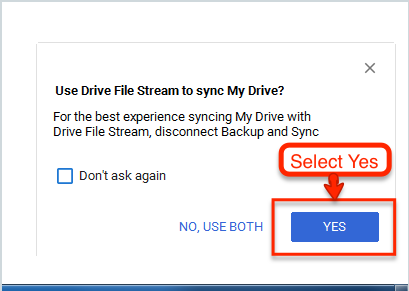 Please note Google Drive Sync ends support on December 11, 2017. This change will require you to take action and transition to Google File Stream. If you need assistance with the transition please contact ITS. Information Technology Services will be performing scheduled maintenance on our Administrative systems. This scheduled maintenance will require Banner and Self-Service to be off line on November 18, 2017 between 9:00pm - 1:00am. (4 hours). The issue was resolved at approximately 2:45. We do not expect it to reoccur. This is a known issue. We are working on resolving this issue right now. In the meantime there may be sporadic internet outages. We will update once the issue is resolved. Look for a button near the top right corner (between Agenda and More buttons) that says Use New Calendar. If you already have the Calendar open, refresh the page to get the button to appear. The new Google Calendar is cleaner, has more white space and is easier to read. 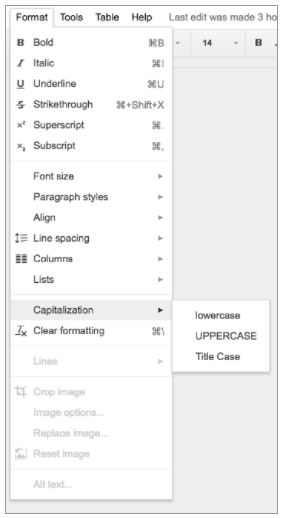 After switching you can customize the appearance by clicking the settings cog in the upper right portion of the screen. To revert to the old design altogether you may select the Back to Classic Calendar. Information Technology Services will be performing a planned point release upgrade to the Banner administrative system. This scheduled maintenance will require the server to be off line on November 11 between 9:00pm - 10:00pm. Criminals who “phish” use different strategies to obtain your sensitive information. Many times phishing is associated with email but it is any strategy used where the goal is to “phish” sensitive information from you. Keep your Browser Updated. Phishers are exploiting a flaw in the web browsers “punycode.” “Punycode” is in charge of translating foreign domain names into English. This means criminals can register a domain name that, even after close visual inspection, appears normal. Misspelling web addresses. Phishers can use a look-alike domain name such as “Goggle.com” hoping that you misspelled “Google.com.” Use bookmarks for trusted websites to avoid manually typing web addresses. Be suspicious of websites not using a certificate. A website using a digital certificate indicates that they are the rightful owner of the website. Certified websites will have an image of a lock and in Chrome the word Secure in green letters directly on the address bar. However, just because a website has a digital certificate doesn't necessarily mean that it is safe but it is a good indicator. For more information on how to protect yourself from phishing strategies, visit Manhattan College’s post here. If you feel that you might have been phished click here for more information on what to do next.